APO Group and Africa's rugby governing body, Rugby Africa, sign a ground-breaking strategic partnership to develop the sport across Africa. (From Left to Right) - Nicolas Pompigne-Mognard, Founder and CEO of APO Group and Abdelaziz Bougja, Chairman of World Rugby’s African association, Rugby Africa during the signing ceremony of the agreement under which APO Group becomes the main Official Sponsor of Rugby Africa, at Royal Garden Hotel on November 12, 2017 in London, England. (Photo by Eamonn M. McCormack/Getty Images for APO Group). APO Group, the leading media relations consultancy for Africa and the Middle East, and Rugby Africa, World Rugby’s African association, have announced a landmark multi-year agreement appointing APO Group as the Official Partner of Rugby Africa. The new partnership represents the highest level of sponsorship, and marks a major milestone in APO Group’s history, putting the company at the forefront of the most anticipated rugby events in Africa. On November 12, ahead of World Rugby’s General Assembly, Rugby Africa’s executive committee played host to APO Group as part of a special ceremony to celebrate the partnership. As official partner, APO Group will be associated with the 10 major international competitions throughout the continent, including the iconic Africa Gold Cup - which in 2018 doubles as a qualifier for the 2019 Rugby World Cup in Japan – and the Africa Rugby 7s tournament, which is a qualifier for the 2020 Olympics. 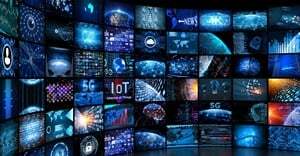 APO Group will also receive an extensive range of sponsorship rights, providing exclusive and customised marketing opportunities to strengthen their reputation. 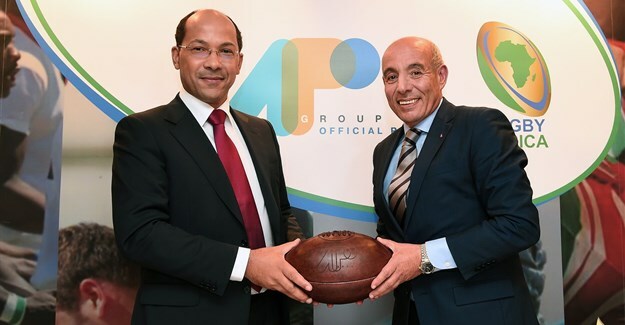 Welcoming the partnership, the chairman of Rugby Africa, Abdelaziz Bougja said: “We are very excited to have APO Group joining us as official partner. It was important for us to team up with the ideal partner: a company sharing the values of integrity, respect, tolerance, discipline and passion commonly associated with rugby, and one whose expertise and knowhow can help us shape the future of the sport in Africa. Nicolas Pompigne-Mognard, founder and CEO at APO Group, for his part stated, “As a former amateur rugby player, I am delighted and proud that APO Group has become the official partner of Rugby Africa. Beyond the values it conveys, rugby can be a key catalyst for development among children, millennials, women, men and older nationals, and it deserves to be acknowledged all over the continent. For the last decade, the popularity and TV viewing figures for rugby have grown steadily in Africa. Besides South Africa who are currently ranked 2nd in the world and have the largest number of rugby players, the sport has gained a foothold in many other countries such as Kenya, Uganda, Ghana and Senegal but also Madagascar who alone has more than 520 clubs. Next year, up to three African teams, including South Africa, could be representing the continent at the 2019 Rugby World Cup in Japan, the world's third-largest sporting event after the Olympics Games and the FIFA World cup. 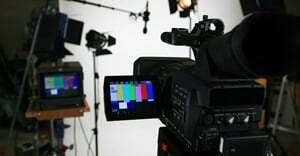 Over four billion people around the world are expected to watch the games on TV channels. “2018 will be a pivotal year. In addition to 10 exciting tournaments including the Africa Gold, Silver and Bronze Cups and the four regional tournaments to name a few, at least one African team will take part in the upcoming Olympic Games and South Africa is in pole position to host the 2023 Rugby World Cup, ahead of France and Ireland. 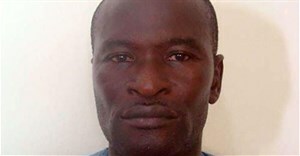 All these events will provide exceptional moments for African countries and people to unite and create joyful memories. “We look forward to celebrating wins with the local fans, being inspired by the artistry of the players, and to the excitement of each match over the coming years,” added Pompigne-Mognard. 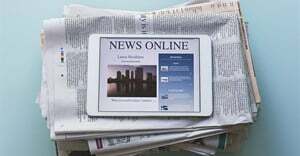 Founded in 2007, APO Group is the leading media relations' consultancy and press release distribution service in Africa and the Middle East.